Can you believe that Christmas is right around the corner? That means that it’s time to start thinking about that perfect gift for family, friends, and co-workers. 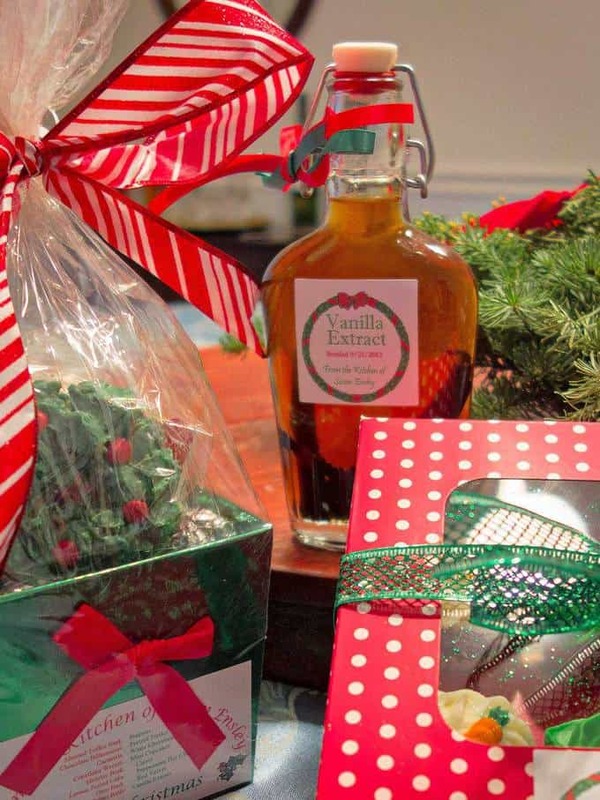 If you like to give homemade gifts, then look no farther – Make Your Own Vanilla Extract! It’s super simple to make, has no fillers like water, sugar, and coloring (check out the ingredients list the next time you’re in the store), is way cheaper than store-bought, and has a virtually indefinite shelf life. What’s more, it will likely become your most prized gift. I’ve been making my homemade vanilla extract for a number of years. In fact, I keep it in a 1.5 liter Vokda bottle, that I periodically top up with extra Vodka when the liquid runs a bit low. 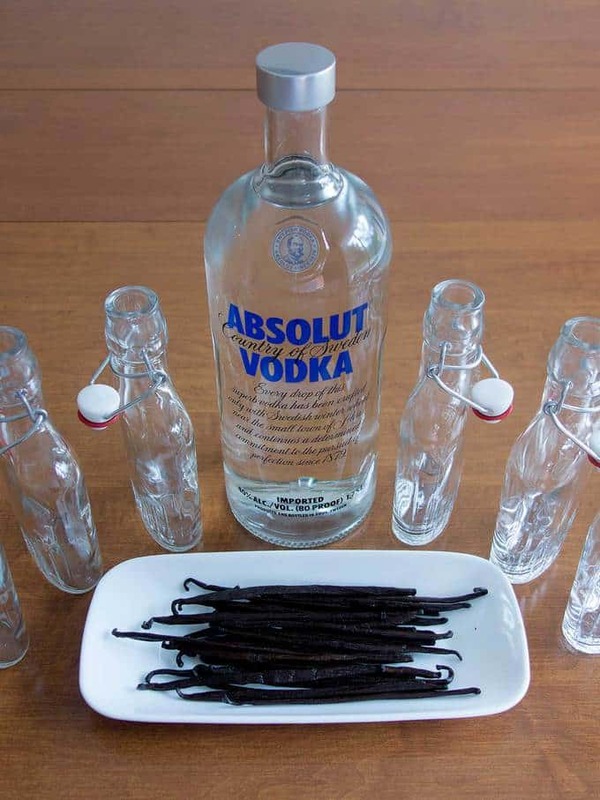 That being said, Make Your Own Vanilla Extract only has two ingredients – Vodka, and vanilla beans. It’s important that the Vodka not be flavored. In addition, there’s no point in using expensive Vodka. I generally use Madagascar vanilla beans from Amazon.com. However, just do a search for vanilla beans, and you’ll see that there are a lot of options. For gifts, I like to use 8-ounce flask bottles that I get from Specialty Bottle. 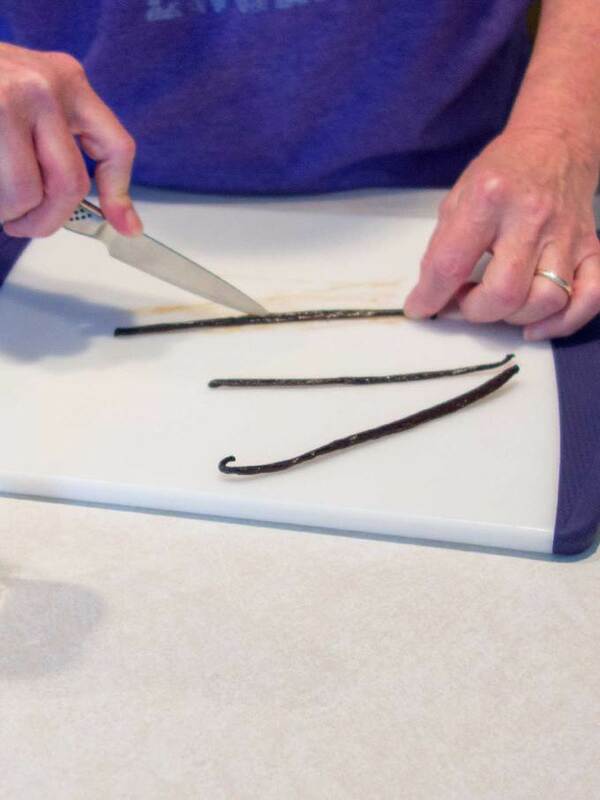 To start, I cut or slit the vanilla beans down the middle with a sharp paring knife. The reason for this is to expose the actual seeds. They provide both the color and the flavor to the vanilla extract. I use five beans per 8-ounce bottle. You might want to cut the beans in half, but I leave them whole. After I insert the beans into the clean bottles, I pour the vodka in with the help of a small funnel. I cap the bottles and store the vanilla extract in a cool, dark place. Every now and then, I give the bottles a shake. 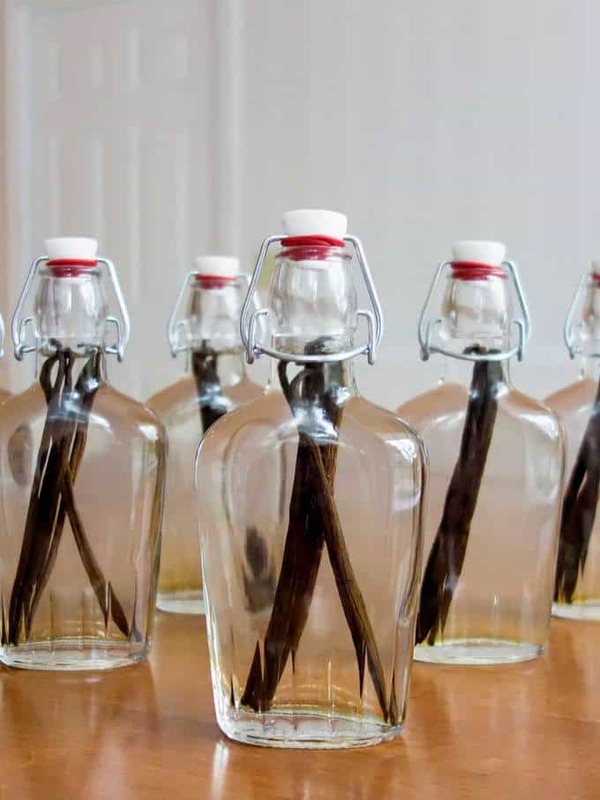 Make Your Own Vanilla Extract takes at least 6-weeks of aging before it is ready to be used. The wait is totally worth it. You’ll never use store-bought again. Yum! Wash and sterilize the bottles that will be used. With a sharp paring knife cut the vanilla beans down the middle. Then cut the beans in half. Place the beans in the clean bottle. Pour in vodka. 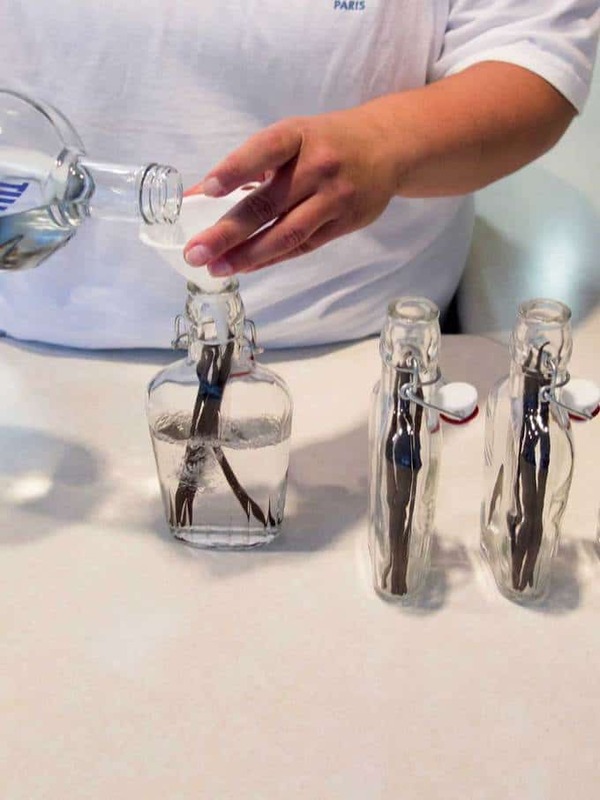 Seal the bottle, and store in a cool, dark place. 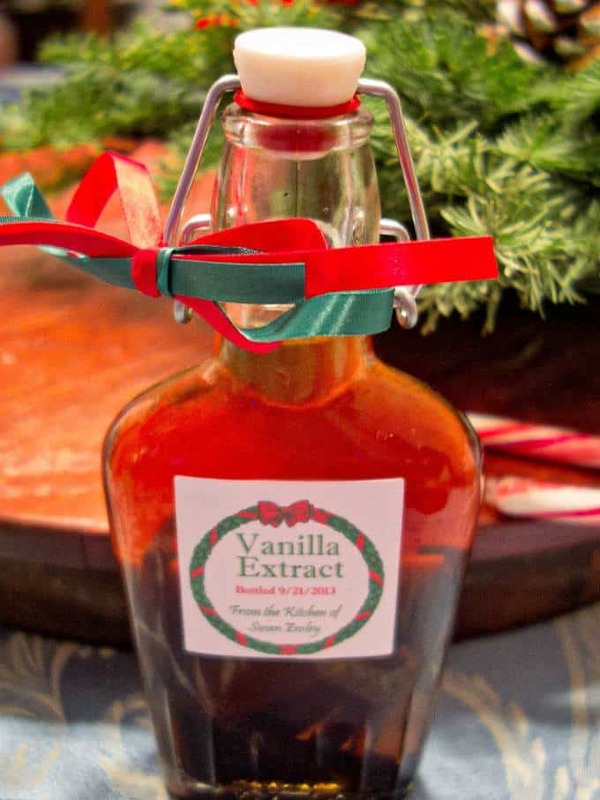 Let the vanilla extract age for at least 6-weeks before using, occasionally shaking the bottle. Note: When the vanilla extract gets low, add more vodka to the bottle.